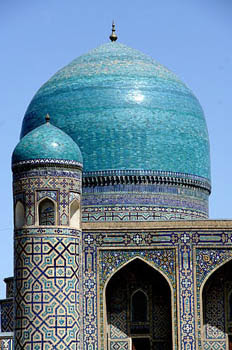 Dates for Uzbek Journeys 2013 small group tours to Uzbekistan and Kyrgyzstan have just been announced. And while in this part of the world, why not consider a one-week excursion to Kyrgyzstan? The Kyrgyzstan tours combine the majestic, rugged landscapes of snow-capped mountains and lush valleys, with visits to craft co-operatives, design workshops and yurt makers. Travelling around shimmering Issyk Kul lake, with the towering Tien Shan mountain range in view, you will understand how nomadic traditions are still at the core of the Kyrgyz people, who take immense pride in their heritage. Why not join me in 2013? Learn more about the 2013 Uzbek tours. 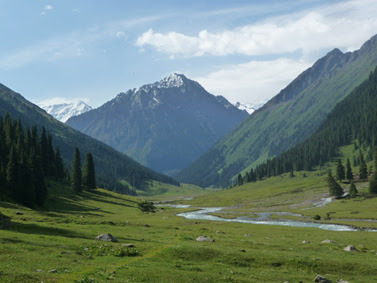 Review the 2013 Kyrgyz tours.